Reckitt Benckiser, owner of the Cillit Bang brand, has announced a vast restructuring initiative. 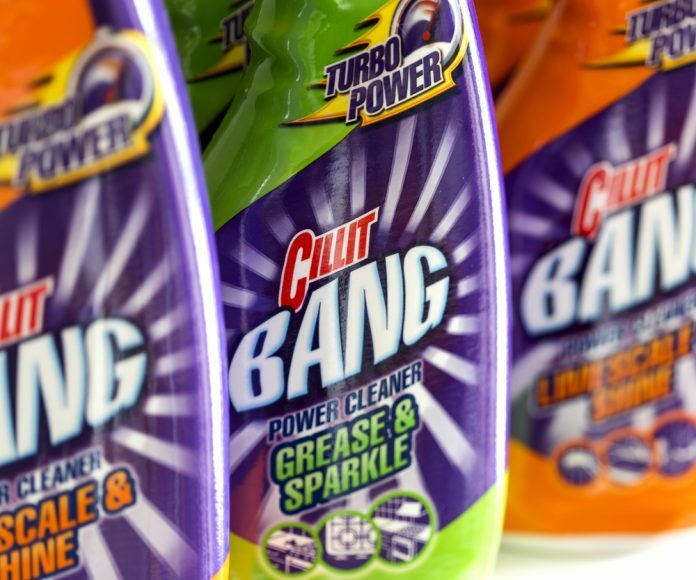 Reckitt Benckiser (LON:RB) announced a vast restructuring plan on Wednesday, after cutting its forecasts for the second time this year. The company, which specialises in cleaning products, is separating its health and hygiene home divisions after contracting sales for the year. According to its third quarter trading update, net revenue slipped one percent to £3.2 billion in the three months to September-end as a result of “known issues” and a persistently difficult market climate. “We have made great progress over the last five years, as we have transformed our group into one where consumer health now represents more than half of our business,” said Rakesh Kapoor, chief executive of Reckitt Benickser. Chief executive Rakesh Kapoor will now head the for group’s health division, which includes its Durex and Nurofen brands. Conversely, its home hygiene division, which produces the popular cleaning products such as Dettol and Cillit Bang, will be overseen by Rob de Groot, who currently his in charge of Reckitt’s European and Russian arm. Looking ahead, the company anticipates sales to fall flat for the year, revising previous targets of two percent growth. Back in August, the company completed its sell of its French’s mustard food assets to US group McCormick, as it looks to slim its portfolio and maximize existing profit channels. An amalgamation of issues have deterred growth for the company in recent months, such as cyber-attacks and limp consumer response to new product ranges. The company has admitted it has “not fully caught up” following the cyber-attacks which affected its computer systems earlier in the year. Back in July, the company slashed sales targets from to 2 percent, after a Petya ransomware virus had severely affected as many as 15,000 laptops, 2,000 servers and 500 of its computer systems in just 45 minutes. Shares in Reckitt Benckiser are currently trading down 2.35 percent as of 13.58PM (GMT).